It's not too late to make a few last minute holiday gifts. Join one of these classes later this week or come by the shop for other ideas. 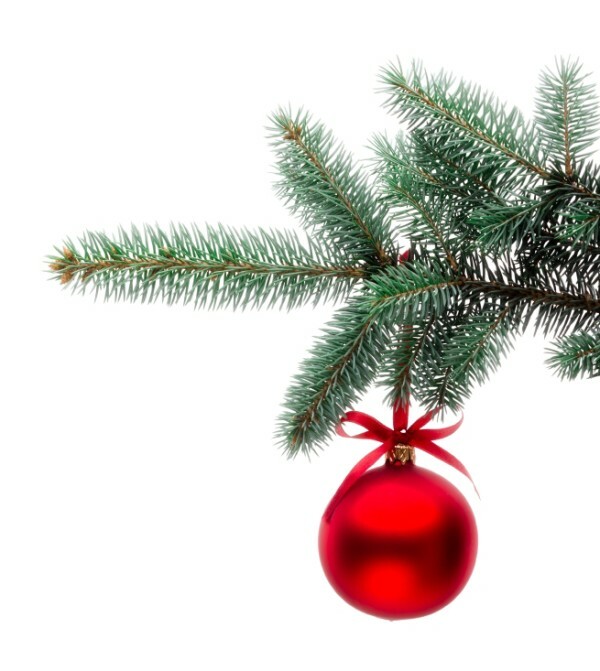 Our second free holiday class will be taught by Judy Bryan. Make one or several of these Catch All baskets in a variety of sizes. Add iron-on vinyl to use them in the kitchen or keep cosmetics organized. Adding the 6″ wooden embroidery hoop is optional. Class limited to six students, so sign up today. 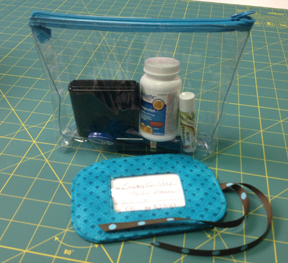 In our final free holiday class you’ll make two items – a luggage tag and vinyl zippered bag for travel. This set is perfect for your upcoming Christmas travels and wouldn’t your house guests be delighted to receive these as stocking stuffers this year! Aimee King will teach this class. See the samples at the shop. The first clue is available now and the final clue in the six-month program will be handed out in May. 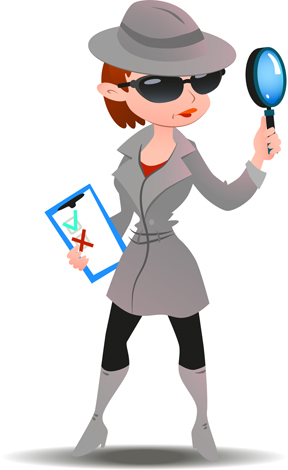 Clues are available on the 10th of each month. We’ll have a “reveal” party for all participants in July, 2016. CONTRAST is very important for this quilt. All four fabrics should have a definite difference in value and/or color in order for the pattern to emerge. Choose a variety of scales and prints for interest. Avoid directional fabrics. Effective Tuesday we're adding the following to our "We Dread Inventory" clearance. Continuing on sale from We Dread Inventory Part 1 and Part 2 . . . most baby/kids fabric is 40% off, select baby/kids kits are 30% off, Christmas fabric is 30% off, Crossroads denim is $11/yard, and Minkee is $12/yard. One yard minimum on all sale fabric. Fat quarters excluded. Thanks for helping us make inventory day a little less dreadful. With a predicted high of 32 and a low of ZERO for the next couple of days what better way to spend time than sewing. Come join us at the shop on Tuesday, Wednesday, or Thursday where it's nice and warm and you have plenty to room to spread out with your project. 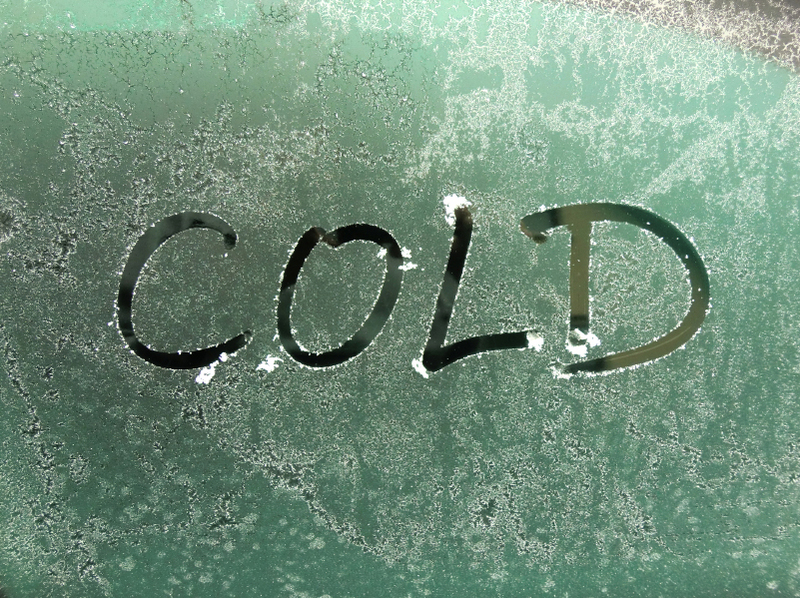 We'll keep you going with hot coffee, tea, and hot chocolate. Bring a holiday gift that still needs to be finished, a UFO you've been putting off, or start something new. Through December 24 Horn sewing room furniture is 20% off. Stop by the store to see the display models we have and review the catalog for additional options. 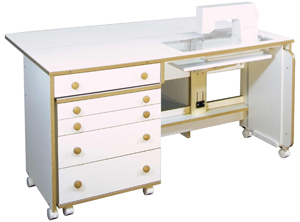 If you have a sewing cabinet or cutting table on your holiday wish list, take advantage of this excellent discount. Horn furniture is made in the USA and delivered right to your front porch. Most pieces come fully assembled. Tempted? Indulge yourself! 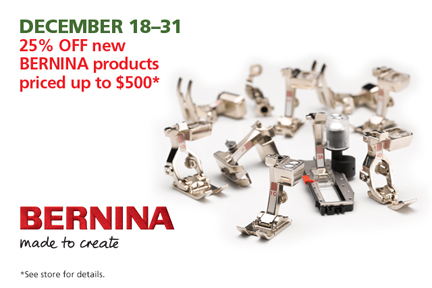 December 18 - 31 take 25% off of all BERNINA products priced up to $500. Check your presser foot wish list, invest in a new embroidery hoop, or get your own copy of The Big Book of Feet during this great sale. 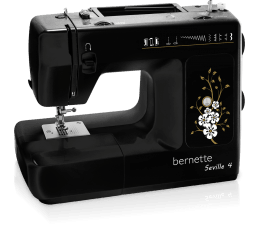 We're down to one of the retro-look Seville machines that were used in a few of our youth sewing sessions. It's been cleaned and oiled and is ready to find new homes this holiday season. Priced at only $199 (MSRP is $249) this is the perfect gift for a beginning quilter or sewist. Eighty-five of you responded to our "Just For Fun" survey last week. Here are the results. My favorite time to sew is . . . When I'm at my machine my feet are covered with . . . I have this many sewing machines that I use at least once a year . . . If someone in my household "borrows" my good scissors I will . . .
My pincushion collection consists of this many . . . When I'm at my sewing machine I usually watch or listen to . . . 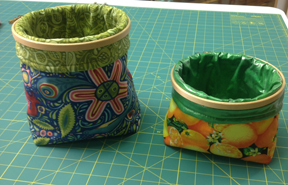 When I'm sewing I like to sip on . . . 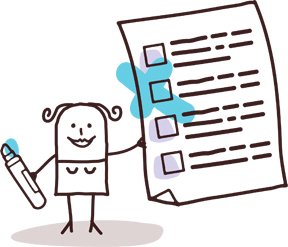 Thanks for participating in our "Just for Fun" survey. We'll do more of these during 2016.